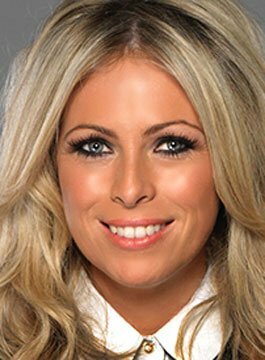 Sarra Elgan is a Welsh sports presenter best known for presenting the rugby coverage on BT sport. Being both the pitch side reporter, as well as the main presenter, she also hosts Rugby Tonight for BT Sport. Sarra is also the host of the weekly BBC Wales SCRUM V discussing the Welsh Autumn Internationals and Six Nations. Furthermore, Sarra also presents alongside Jonathan Davies and top referee Nigel Owens on Jonathan – one of Wales’ highest rating chat shows on S4C. Although Sarra is passionate about sport, she shifts effortlessly between entertainment and sport presenting with credits including: Red Bull Cliff Diving, 100% Rugby, 100% Fitness, Paparazzi, Ceri Greu on S4C as well as Bandit, a prime-time weekly youth music show. Sarra Elgan has a wealth of experience having spent 4 years presenting on the Aviva Premiership at EPSN, she also presented the LV Cup and The British and Irish Cup. She covered the Celtic League Rugby, S4C/BBC Wales for two years as well as the 2007 Rugby World Cup. She presented Speedway on Sky Sports between 2007-2009, was a CBBC reported for the 2004 Euro Cup in Portugal, and reported pitch-side for Clwb Rygbi on S4C. This love of both sport and music has definitely influenced Sarra’s choices of work. This is evident as she has been the presenter for Wakestock (S4C and C4), and the Cardiff Half Marathon. Sarra is both beautiful and bright. Graduating with a degree in Theatre, Music and Media in 1999, Sarra landed a role as a main character in the Welsh soap Pobol Y Cwm. Her popularity led to her being headhunted to present The Wrap for BBC Wales, Passion for Fashion for HTV, Planed Plant – a children’s programme for S4C – and Popty, a magazine music show where she interviewed bands and guests. She hosted her own show for BBC Radio Wales and Red Dragon. She has also co-hosted the breakfast show on Radio Cymru (Radio Wales) in Cardiff. Sarra is a hugely experienced live presenter where she in renowned for her professionalism, talent and natural initiative.